Thank you for offering Validic the opportunity to submit comments in response to the Physician Fee Schedule, Medicare Shared Savings Program Requirements, Quality Payment Program, and Medicaid Promoting Interoperability Program Rules. At Validic, our mission is to improve the quality of human life by building technology that makes personal data actionable. With a singular focus and drive to improve the efficiency, affordability, and accessibility of healthcare services and wellness programs, Validic continues to cultivate a patient-centric system, bringing together device manufacturers and healthcare stakeholders. We believe that patient access to quality care is critical for cultivating a mentally and physically healthy generation. Our team is committed to doing our part to create opportunities for improved access and to help create a more equitable healthcare system for all patients. Through innovative data platforms that move the needle on patient outcomes and population health, Validic develops digital health solutions that improve patient-to-provider relations, communications, and data exchange. With these solutions, Validic helps providers proactively reach at-risk or underserved patients who are in need of consistent medical attention or who are unable to access timely, affordable, quality care on a regular basis. We applaud the steps CMS continues to take, including the steps taken in this proposed rule, to build a value-based payment model that makes care delivery more efficient and effective. Most notably, we want to voice our support for reimbursement for remote monitoring technologies and the use of patient-generated health data through newly proposed CPT and HCPCS codes. For the more than 81 million Americans managing multiple complex chronic conditions today , CMS’s support of remote monitoring and related digital health advances is critical to successful disease management and better outcomes. Remote monitoring programs and remote care services allow patients to receive more comprehensive, outcome-centric care. These programs have demonstrated their positive impact on the patient experience, particularly for those who have long been struggling to access the care they need. These programs are placing an emphasis on preventive care and the support of overall long-term patient health. Expand the data supported for reimbursement by CPT codes 990X0 and 990X1 beyond physiologic data. Shorten the required timebox for CPT code 994X9 for clinicians to receive reimbursement. As stated in the August 22 CMS webinar, “If we’re going to improve quality and access for our patients, we have to address the concerns of providers on the front line.” This includes enabling and empowering clinicians to leverage available tools to streamline care, as this rules intends to do. For many physicians, current and suggested policies are not enough to encourage behavior change toward these new models of care. Requirements in the proposed HCPCS codes for remote medical discussions and asynchronous data exchange would be unlikely to provide enough financial support to incentivize their use by clinicians. Regarding the newly proposed CPT codes, time restraints could require more, unnecessary work for the care team, rather than reducing technology burdens with automation and analytics. CMS states that these proposed changes would “put patients before paperwork.” Validic asserts that in order to fully incentivize clinicians and care teams to engage in new remote monitoring capabilities, reimbursements must go further, and the timebox required for certain remote services must be considerably shortened. We maintain that innovative care technologies have the ability to streamline healthcare services and save time for clinicians – meaning that the time it takes to deliver quality care services is significantly shorter than it once was, and only continues to shrink. New tools to automate previously manual tasks, such as data capture and entry, and analytics to help elevate critical data or synthesize trends, reduce time spent by a clinician on these tasks – freeing them to focus more time on care and less time on technology. We agree fully with CMS; technology should be an enabling function of healthcare and should enhance the trust, communication, and engagement between patients and their providers. By more robustly reimbursing for the use of such tools, CMS can incentivize providers to move toward a model that supports outcomes-based care delivery. 1. Isolating remote monitoring reimbursement to the collection and use of physiologic data limits the impact of patient-generated health data on care delivery. Physiologic data includes parameters such as weight, blood pressure, pulse oximetry, respiratory flow rate, as defined by this proposed rule. By limiting reimbursement exclusively to this type of data, remote monitoring is incentivized only for the use of data collected from in-home medical devices, disincentivizing the use of additional data types relevant to patient care. Patient reported outcome measures (PROMs), defined as metrics “directly reported by the patient without interpretation of the patient’s response by a clinician or anyone else and pertains to the patient’s health, quality of life, or functional status associated with health care or treatment,” can provide meaningful insights into how a patient is feeling or the effects a treatment or medication. PROMs offer deeper insight into a patient’s subjective experience and provide information not gleanable via objective physiologic data. Similarly, behavioral health data, including a patient’s self-reported mood, energy levels, pain levels, and other similar information, provide perspective not available from quantitative physiologic data. Consider Daniel, who is leaving the hospital after cardiovascular surgery. In the days following his surgery, he experiences unusual, extreme fatigue and feelings of dizziness. He is able to express this critical insight via the PROMs that are remotely gathered and submitted to his care team, informing his state of health in a way physiologic factors cannot. By interpreting this information, his care team can intervene directly and potentially prevent a readmission or another acute event. In addition, social determinants of health (SDOH) data can be critically influential in care decisions and can indicate a patient’s ability to access certain types of care and health resources, their overall health literacy, and other key information. SDOH are defined as “the conditions in which people are born, grow, live, work and age” which “are shaped by the distribution of money, power and resources at global, national and local level.”  This can include education, employment, income level and location – which further indicates a person’s ability to access healthcare services or healthy food. By including this information in remote monitoring programs, a provider can better understand a patient’s life outside the hospital – and whether they will be able to practically access necessary care, food, or education on a regular basis. This information is critical to personalizing decision making in healthcare treatment; if a patient does not have access to transportation to get to a doctor’s appointment, cannot secure childcare during that time, or cannot afford to miss work for an appointment, they will be unlikely to adhere to a doctor’s recommendations. The treatment plan does not fit into his or her life. Integrating SDOH data into the point of care can ensure that physicians offer practical treatment options and feasible goals that a patient is able to follow. 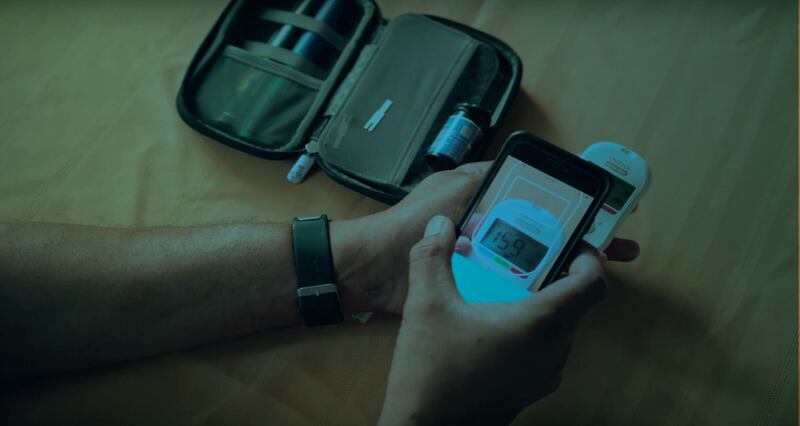 A major limitation resulting from reimbursement exclusively for the use of physiologic data by clinicians is that this limits data collection from patients who own connected health devices or are fortunate enough to be provided one. According to the Office of the National Coordinator for Health IT, patient-generated health data (PGHD) are health-related data created, recorded, or gathered by or from patients (or family members or other caregivers) to help address a health concern. This can include, but is not limited to, health history, treatment history, biometric data, symptoms, and lifestyle choices. Including PGHD, rather than solely physiologic data, in remote monitoring, provides a much more robust view of a patient and allows providers more freedom to collect the data they find valuable in information healthcare decisions. In an effort to ensure the proposed rule is inclusive of and advantageous for all social economic statuses, we encourage the broadening of this data definition. In order to support greater health equity, it is imperative that remote monitoring reimbursement not be limited only to certain data from certain patients who can obtain certain devices to support their care. Imagine Andrea, the patient with diabetes and hypertension who works overtime weekly in order to support a family and ensure her children get the necessities and attention they need. She will be unlikely to spend money that is needed for rent, food, or childcare on a connected health device for herself. This means she would be unable to obtain the comprehensive care that a patient with her same conditions, who has the means to purchase a smartwatch or connected blood glucose monitor, can. However, she, like 95 percent of Americans today, has a cell phone. If Andrea were to have access to these remote care services via phone apps, and could regularly share PGHD with her care team, she could be receiving more comprehensive, informative care that allows her to make better health decisions and prevent negative outcomes – without a time consuming visit to the doctor’s office. Creating channels for her to submit data via technologies that are already widely adopted and more accessible to a larger population could open the access to quality care that’s not currently available. Unfortunately, many patients suffering from multiple chronic conditions are in a similar position to that of Andrea, and don’t have the means to participate in a remote care program or attend regular in-office appointments. By supporting reimbursement for remote monitoring using data points that many people are unable to collect, CMS could risk building further inequity. Instead, incorporating additional data points into reimbursement, such as data from wellness applications, behavioral health data, PROMs, and SDOH data, the organization can incentivize the provision of more comprehensive, informed healthcare to all patients, regardless of socioeconomic status. 2. Shortening or eliminating the required 20-minute timebox for remote physiologic monitoring treatment management services is important to encourage further efficiency via technology. Currently, the proposed CPT code 994X9 for “remote physiologic monitoring treatment management services” covers 20 minutes of clinician time in a calendar month, and requires interactive communication with the patient or the patient’s caregiver during that time in a given month. While this is an important step in the right direction to support remote monitoring for patients with chronic conditions, the substantial time required to receive reimbursement could deter remote monitoring adoption by physicians and other qualified health professionals who receive more financial support for in-person treatment. We request the removal or reduction of burdensome time limitations, and instead request this discretion is given to the physician or healthcare system to determine on a per-patient basis. Both existing and emerging healthcare technologies are built for one reason: to help providers offer higher quality, more effective care more efficiently. As a result, many technologies supporting remote monitoring streamline processes for both patients and clinicians, minimizing the time required for a clinician to deliver care. Rather than simply making care digital, technology today is built to make care easier, more pleasant, more manageable, and above all, more efficient. Nurses and clinicians need a system that allows them to manage more patients, with fewer resources, in the same amount of time. Today, these systems use analytics to trigger actions items, triage prioritization, and notifications to provider and patients in a way that allows for more efficiency and personalization. When care teams have access to such a system, they should be empowered by regulatory agencies to leverage such technology, rather than neglect it. In order to truly incentivize providers to make use of available technology to offer more comprehensive care to patients with chronic conditions, CMS must provide a substantial reimbursement that makes remote monitoring financially viable. Doing so will empower providers to move toward more progressive, data-driven delivery workflows. Leveraging such technology reduces physician time spent on individual patients, while delivering more informed, higher quality care. In order to support a move to a truly value-based model, CMS’s financial support for remote monitoring services is necessary. 3. Supporting provider-initiated discussion will lead to the most successful and valuable use of “virtual check-ins.” In the Proposed Rule, CMS presented the new HCPCS Code GVCPI1, which would reimburse for a “brief communication technology-based service, e.g. virtual check-in, by a physician or other qualified health care professional who can report evaluation and management services, provided to an established patient, not originating from a related E/M service provided within the previous 7 days nor leading to an E/M service or procedure within the next 24 hours or soonest available appointment; 5-10 minutes of medical discussion.” Validic fully supports such a code, which encourages preventive treatment or intervention by the means of value-based care initiatives. We would, however, like to emphasize the value of provider-initiated communication with a patient, rather than solely a discussion originating from the patient themselves. Though this rule suggests that these check-ins can be “effective at addressing patient concerns,” (p. 65). We agree, and emphasize that the strength of this code will likely be in its ability to support provider-initiated discussion to prevent an adverse health event and subsequent ED admission. To advance value-based care initiatives, reimbursements must support proactive, preventive intervention directed by the clinician in order to deliver a more beneficial healthcare experience to patients. Remote monitoring programs today, and the existing technology which supports them, are designed for provider outreach to patients. For example, a clinician managing a diabetic patient could make use of a remote monitoring solution which alerts her when a patient submits an abnormal blood pressure reading. Though the patient could have recently eaten an unhealthy meal, they may not have considered the result. Contact from their provider could help encourage positive behavior change, preventing negative trends and even an ED visit down the line. Likewise, imagine a patient enrolled in a remote monitoring program who regularly focuses on healthy behavior, eating, and regular physical activity to keep his diabetes well-managed. Though he doesn’t have any alarmingly high or low blood sugar readings, his care manager notices a negative trend in his readings. Over the course of a week, there has been a sharp uptick in his weight. While the patient may be unaware of negatively trending readings or health changes, his care team can elevate these details and initiate a conversation. Because the practitioner already has access to the data, their conversation can focus on determining the best course of action: a medication change or an in-person visit. Regardless, this touchpoint could prevent the ED visit which would have occurred had his provider not pointed out the changes seen in his health data. In order to scalably prevent unnecessary ED visits, it’s critical that clinicians proactively reach out to patients via these “virtual check-ins.” With such outreach, clinicians can initiate conversations that lead to better health decisions or treatment amendments. Ultimately, such initiatives would bolster the advancement of a value-based care model which delivers effective preventive care to limit healthcare costs. What’s more, the technology to support this outreach already largely exists, and it aims to reduce clinician burden while improving care communication. Existing tools that enable physician outreach within remote monitoring programs can alert care team members when a patient submits personal health data that falls outside of a preset range. This can then trigger a simple action from the clinician in a way that is not onerous or requisite of significant time investment. Rather, the seconds it takes the clinicians to trigger a message can save hours of care time down the road. As virtual check-ins are embraced by clinicians and patients alike, it’s likely we will see the significant value that provider-initiated outreach brings, both in terms of cost savings and outcomes for patients. We urge CMS to strongly encourage proactive intervention initiated by providers, as it can result in more preventive population healthcare delivery, which will ultimately allow the system to deliver more value to its patients. Expand the data supported for reimbursement by CPT codes 990X0 and 990X1 beyond physiologic data. Additional data points which do not fall under this definition, such as PROMs, SDOH, and behavioral health data, can offer deep insights into patient health and patient access to healthcare services. In addition, limiting reimbursement solely to data generated by connected medical devices could further healthcare inequity by limiting the service availability only to those who can afford or can be provided with such a device. Shorten the required timebox for CPT code 994X9 for clinicians to receive reimbursement. Existing technology that supports remote monitoring enables significant time-saving strategies, and as technology continues to advance, it’s likely that requiring 20 minutes of time for physicians to complete these tasks would soon become onerous. Providing reimbursement for five minutes of time would encourage the use of remote monitoring tools, whereas the current proposed rule does not offer a financial incentive to do so. Publish clear support for provider-initiated “virtual check-ins.” Validic fully supports the introduction of HCPCS code GVCP1. However, we emphasize that the value of this code arises from a clinician’s initiation of conversations with patients in a proactive manner. These actions will directly result in high quality, proactive care that can reduce adverse health events and subsequent ED visits as a result – encouraging the creation of a more value-based care model. Patients today are battling increasingly complex health problems, and require care that supports them in a way that is not burdensome or onerous, but that fits into their daily life to offer better health management on a regular basis. The technology to provide this already exists – and it is critical that we, as an industry, support the use of remote health technologies to empower patients and scalably improve health for the patients most at risk. As the healthcare system continues to strive for a truly value-based model of care, it’s critical that CMS encourages providers to leverage the existing tools to provide more meaningful, insightful, and impactful care. We want to thank CMS for the continued, impactful work to improve patient access and outcomes, to reduce provider burdens and restrictions, and to advance value-based care. We will continue to champion the evolution and expansion of these measures on behalf of patients and providers to ensure we are improving the quality of human life with technology that makes personal data actionable. Weldring T, Smith SMS. Patient-Reported Outcomes (PROs) and Patient-Reported Outcome Measures (PROMs). Health Services Insights. 2013;6:61-68. doi:10.4137/HSI.S11093.